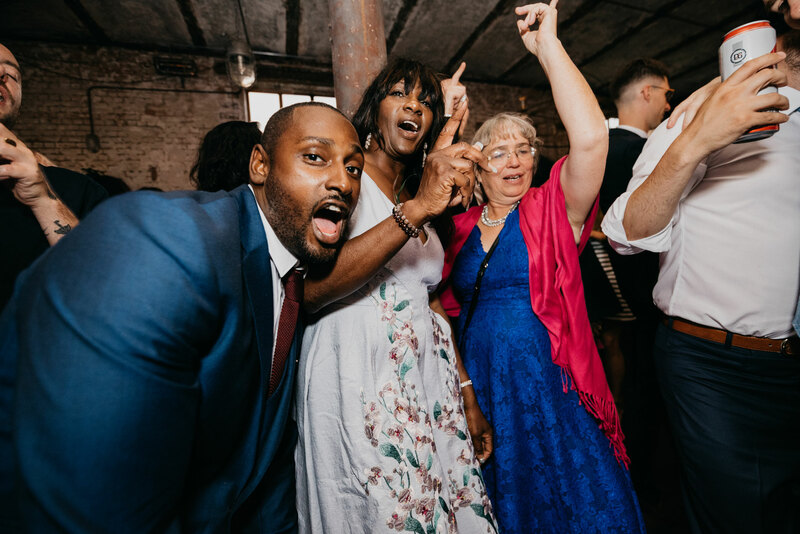 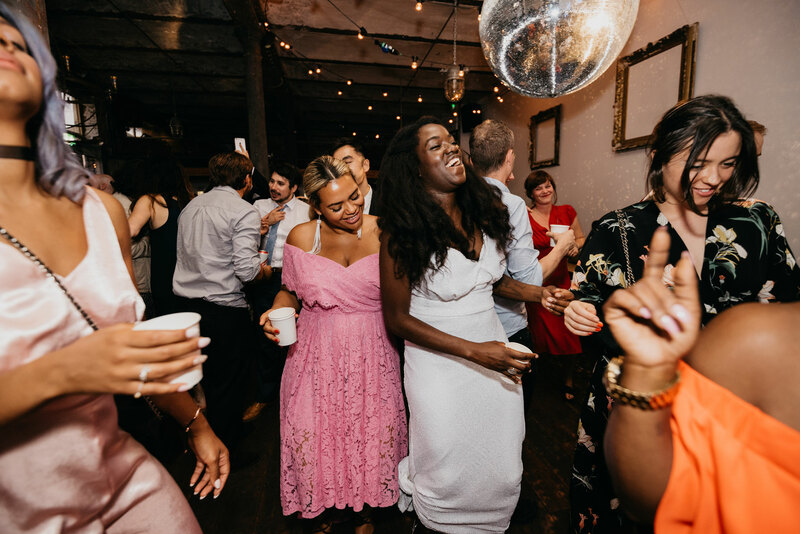 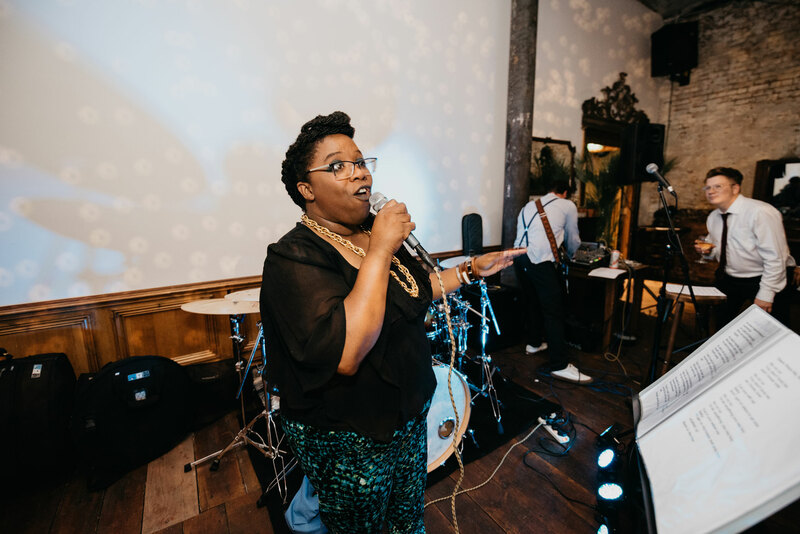 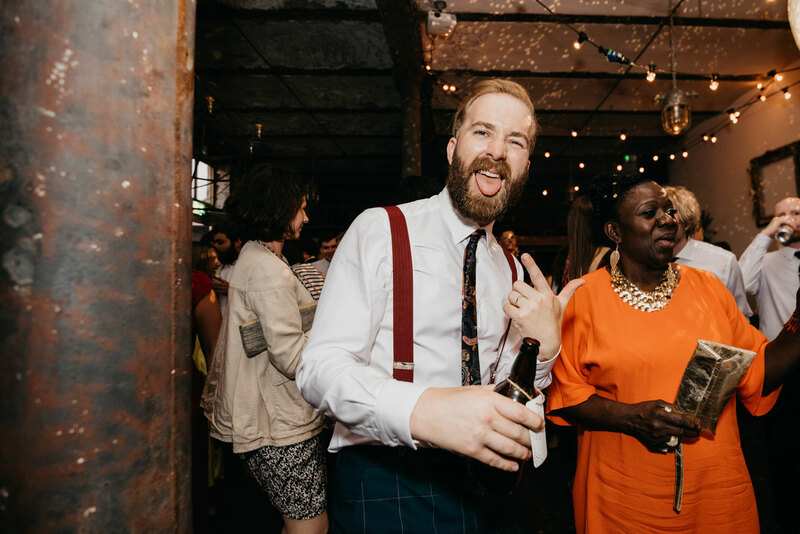 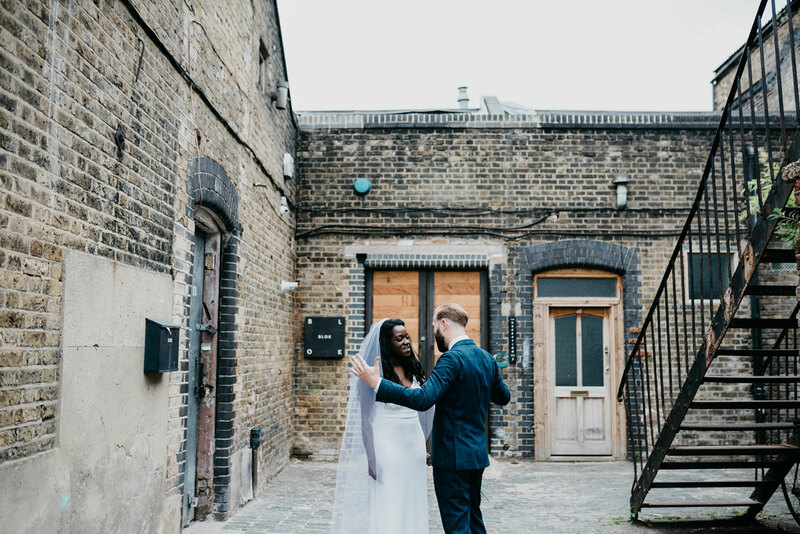 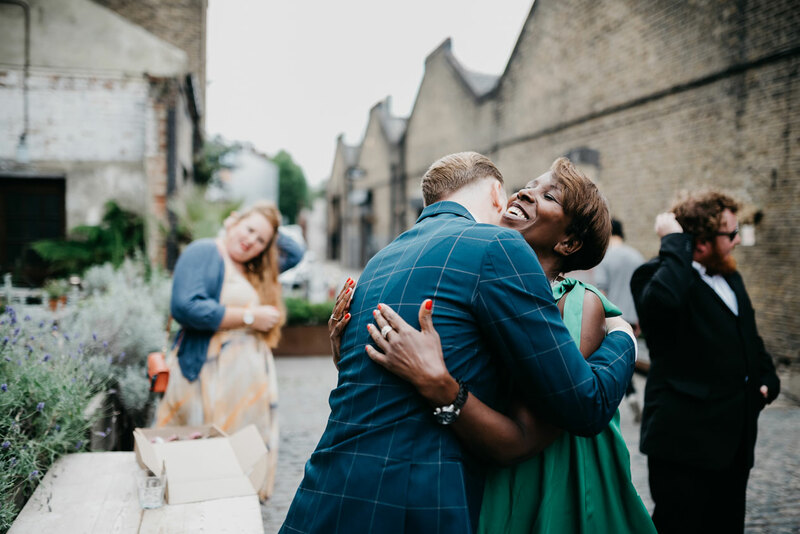 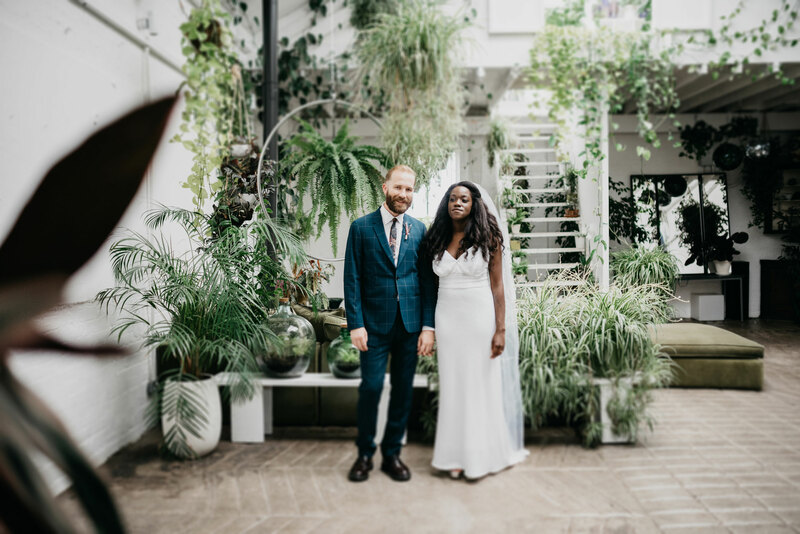 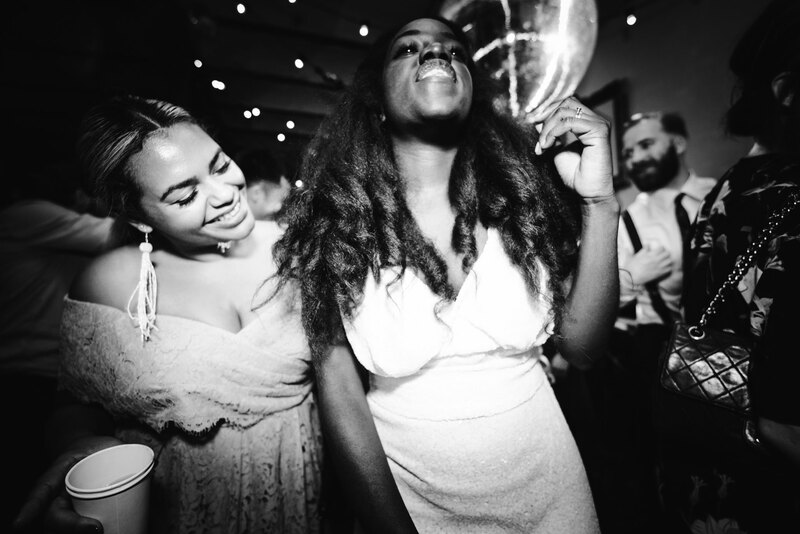 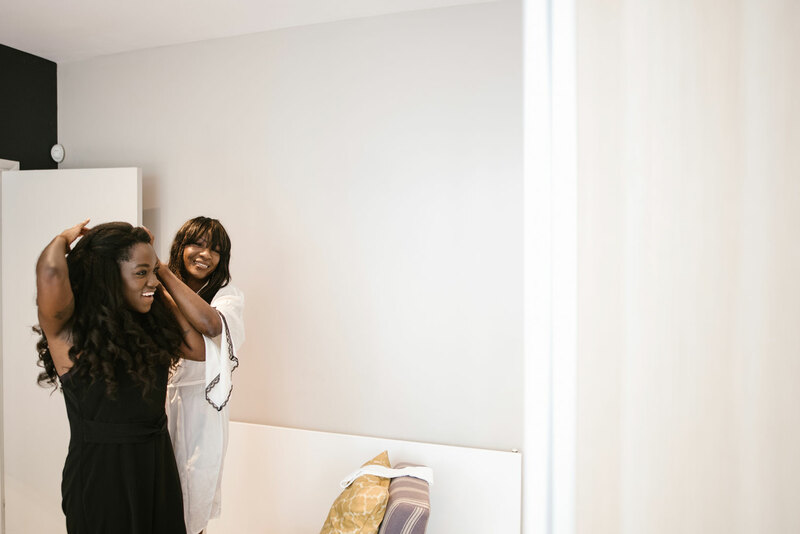 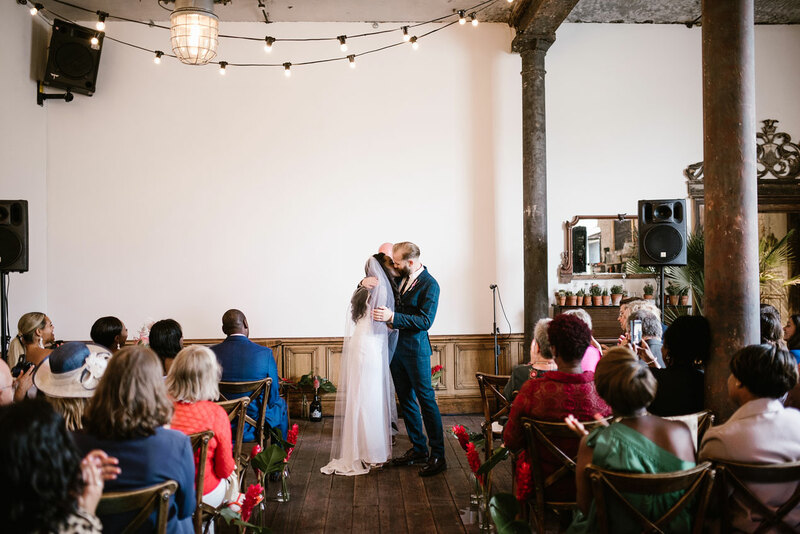 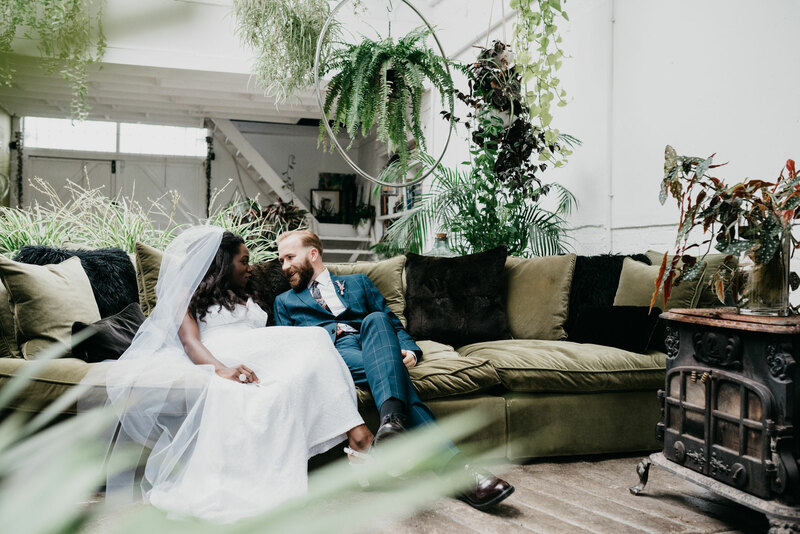 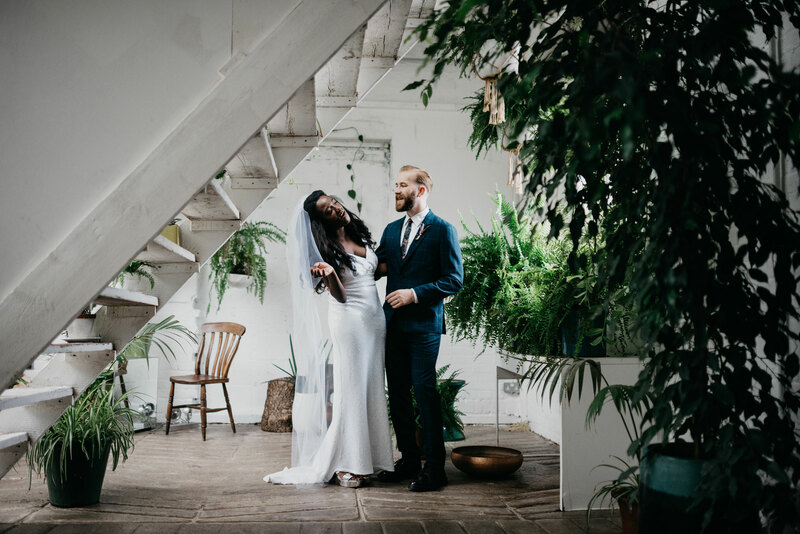 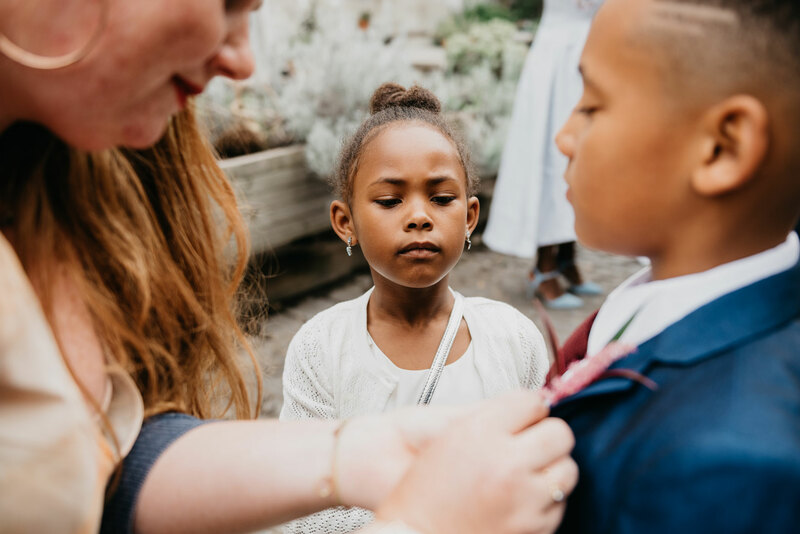 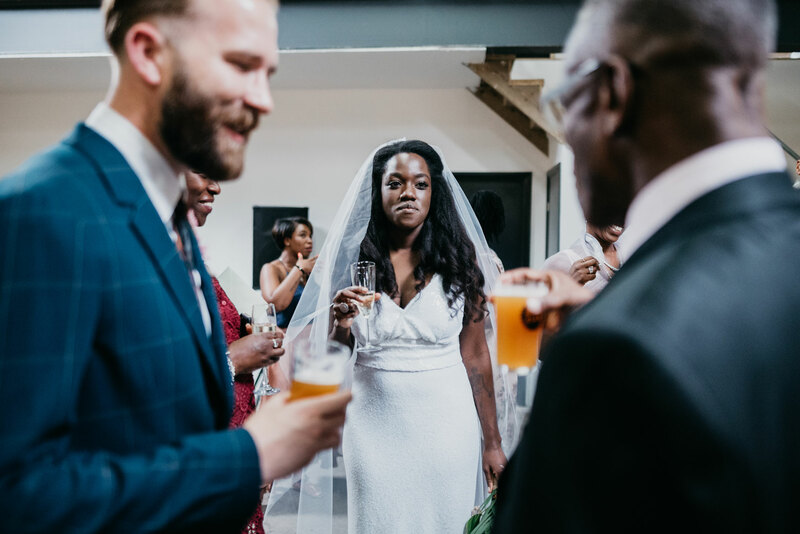 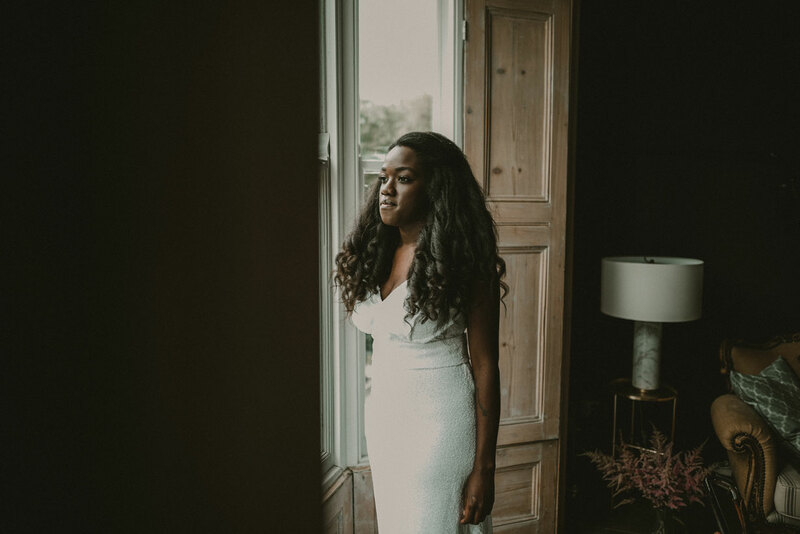 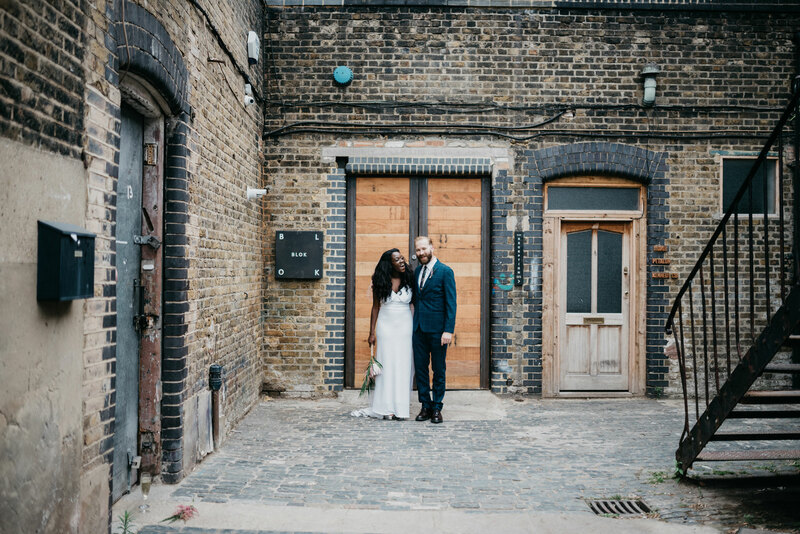 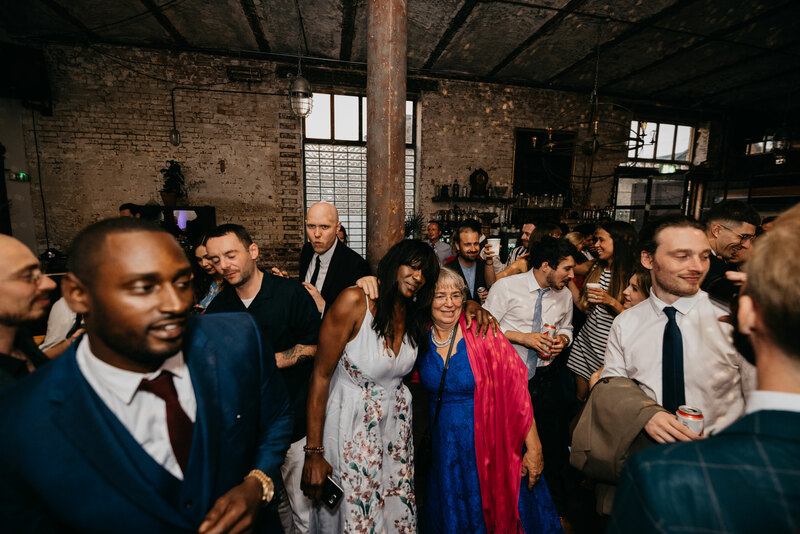 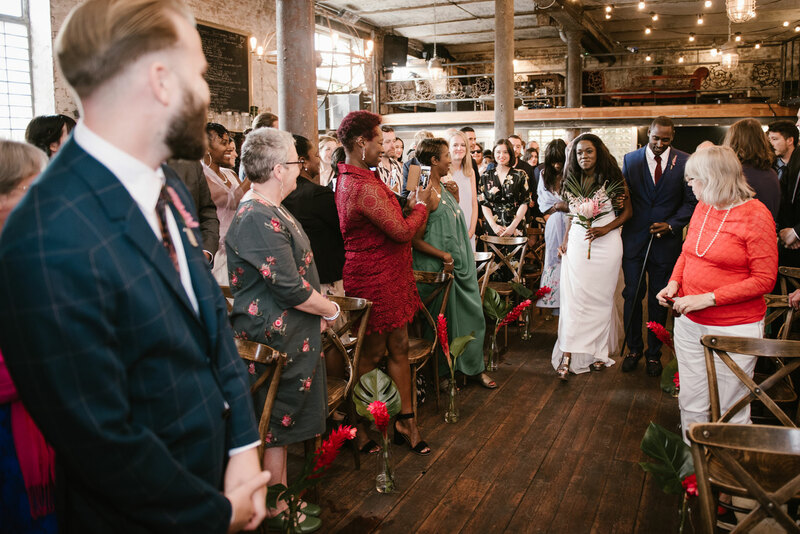 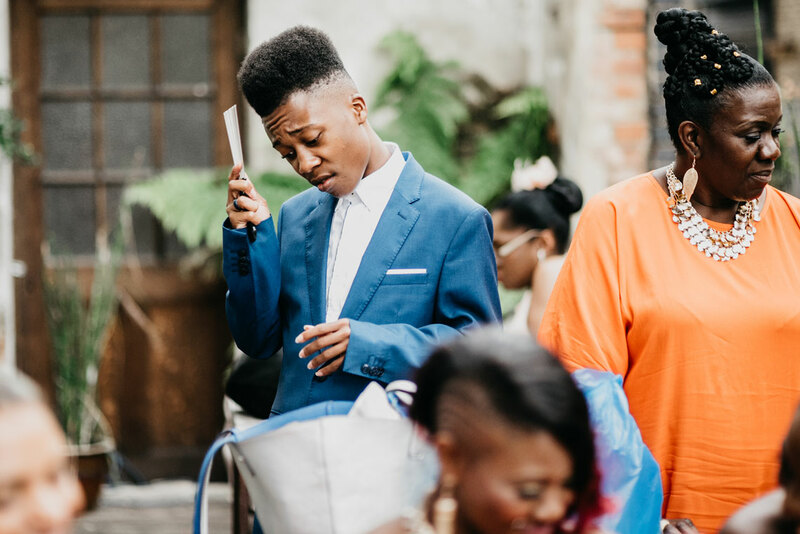 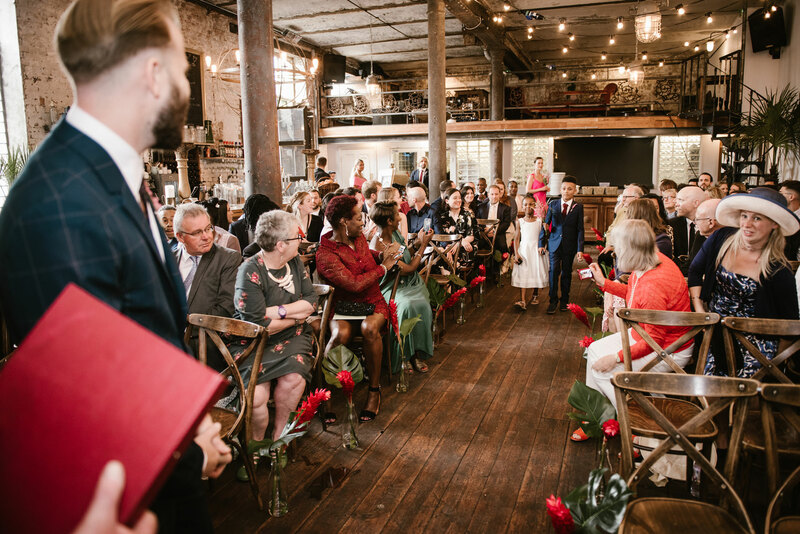 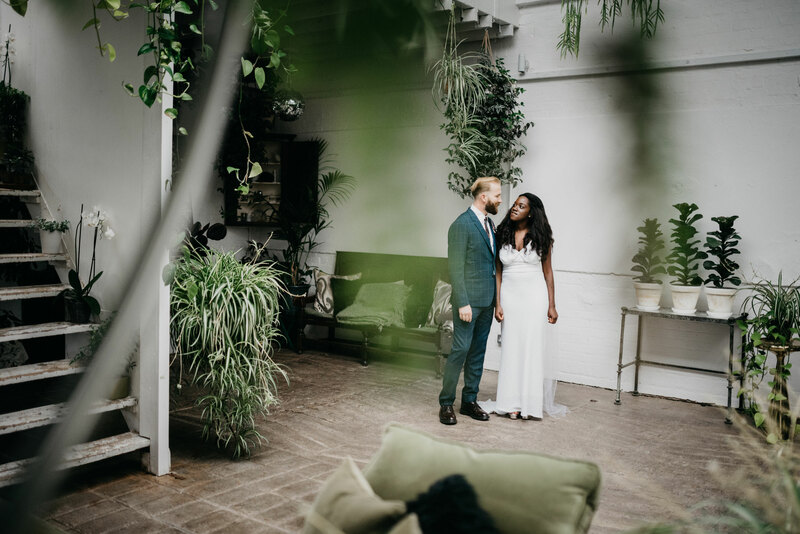 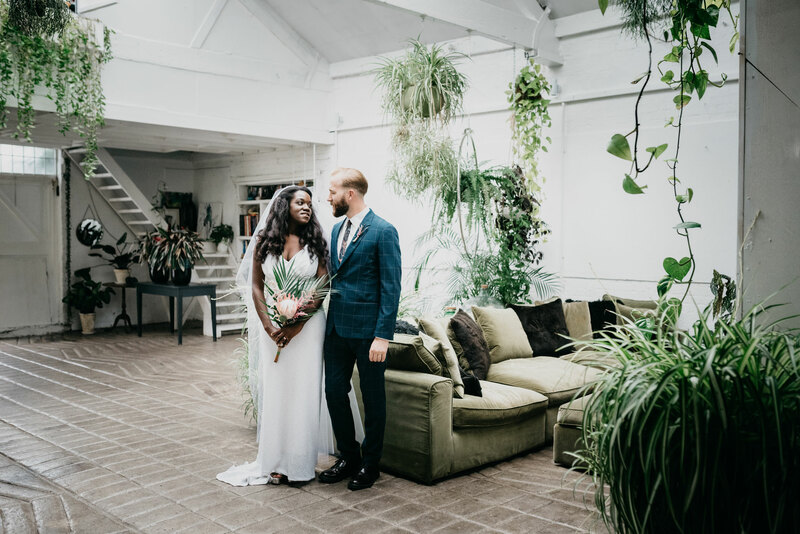 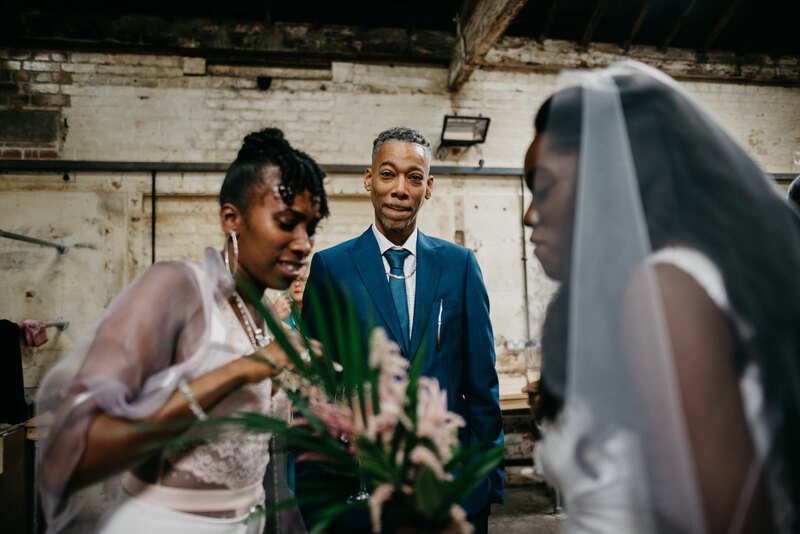 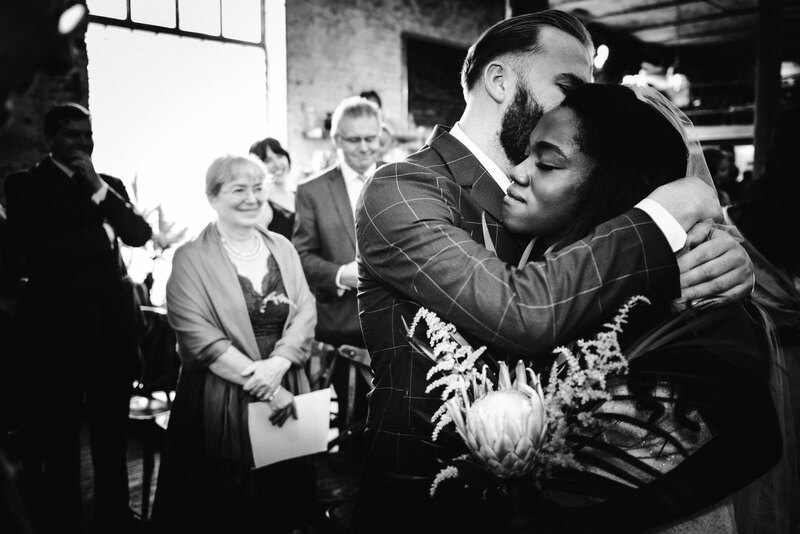 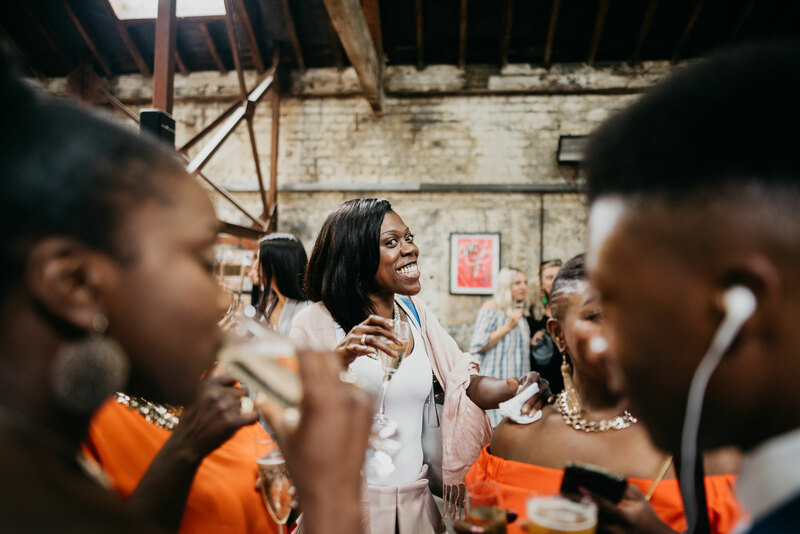 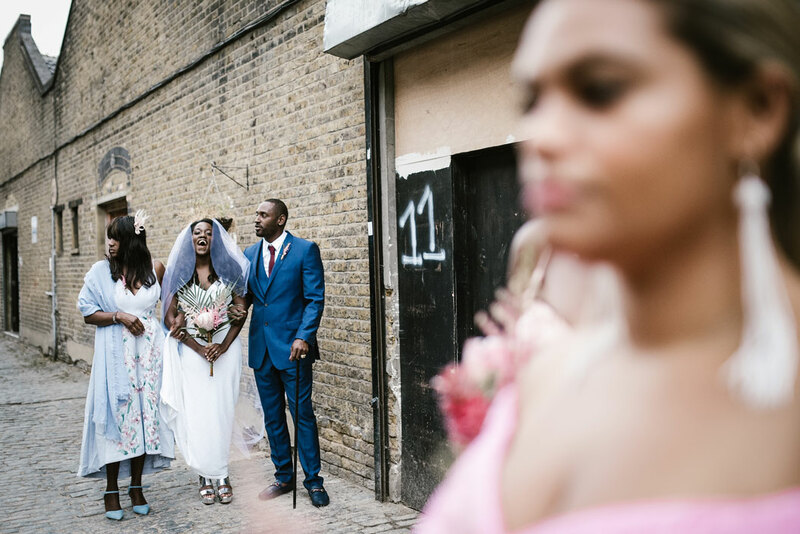 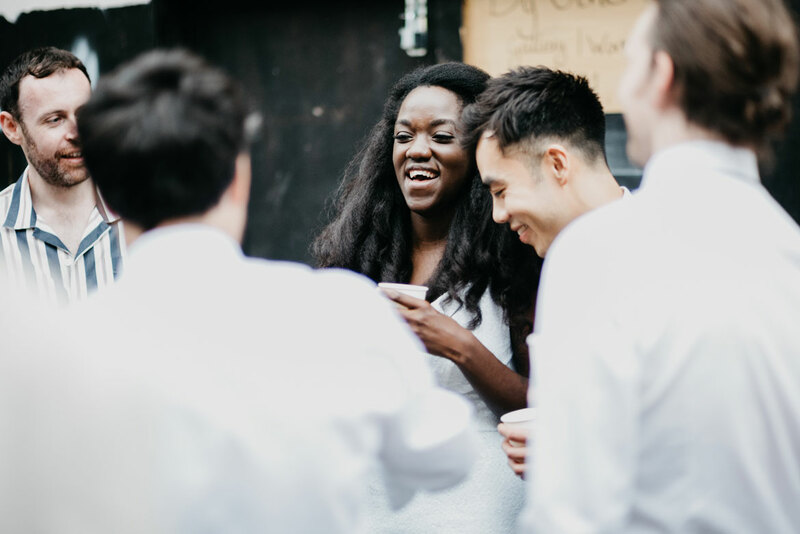 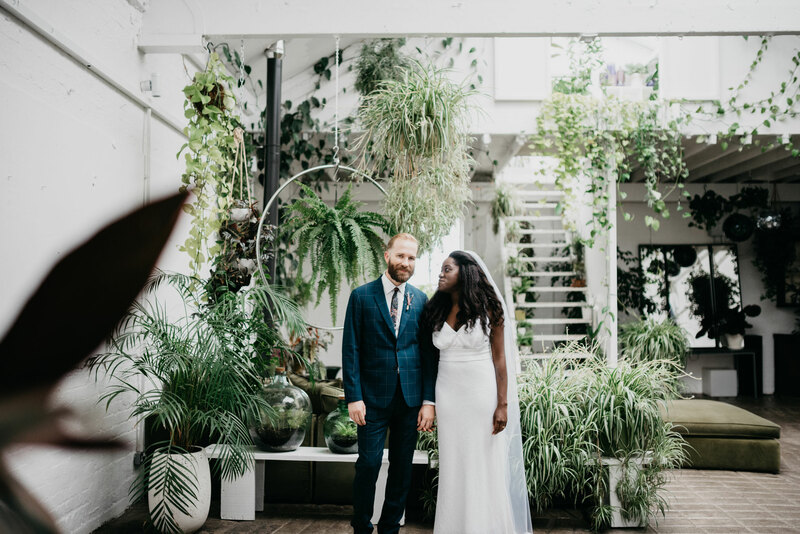 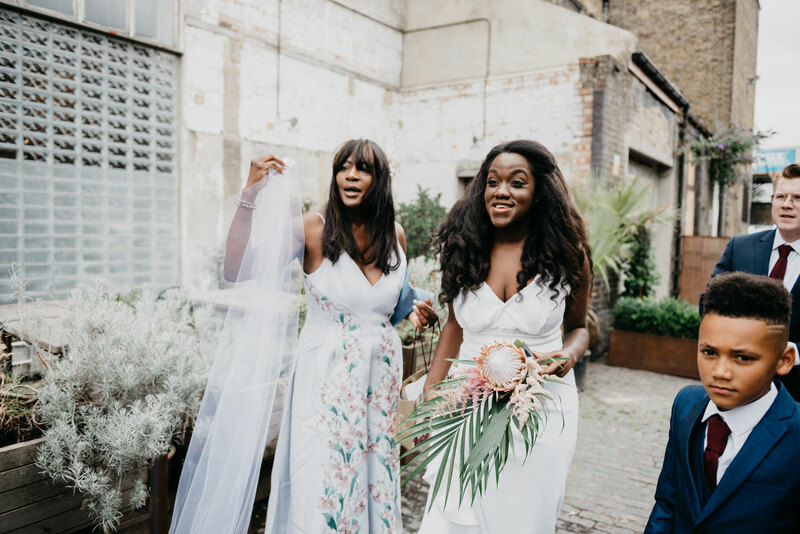 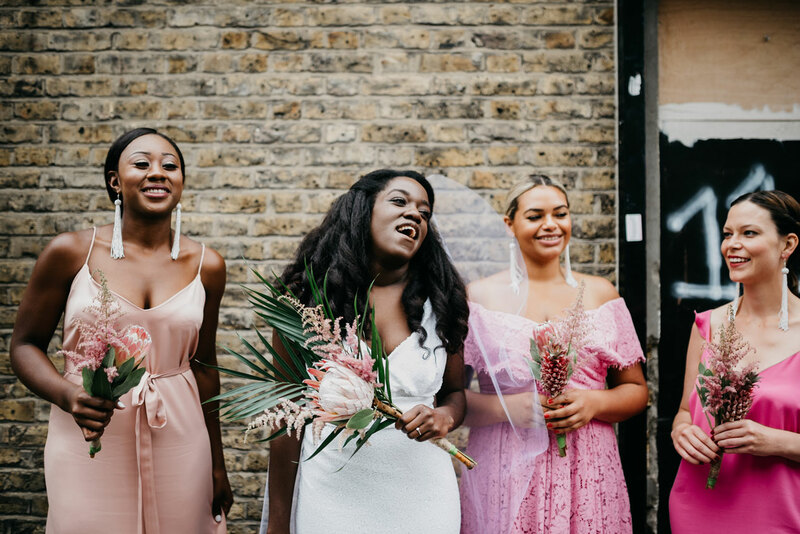 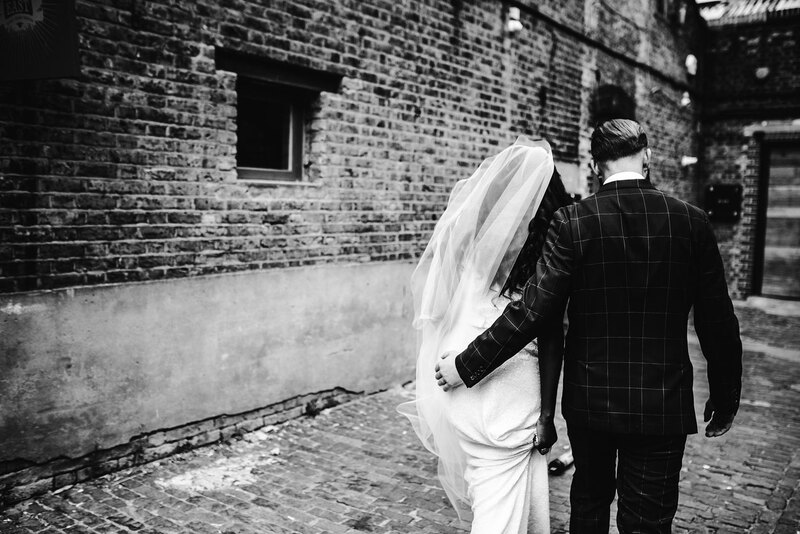 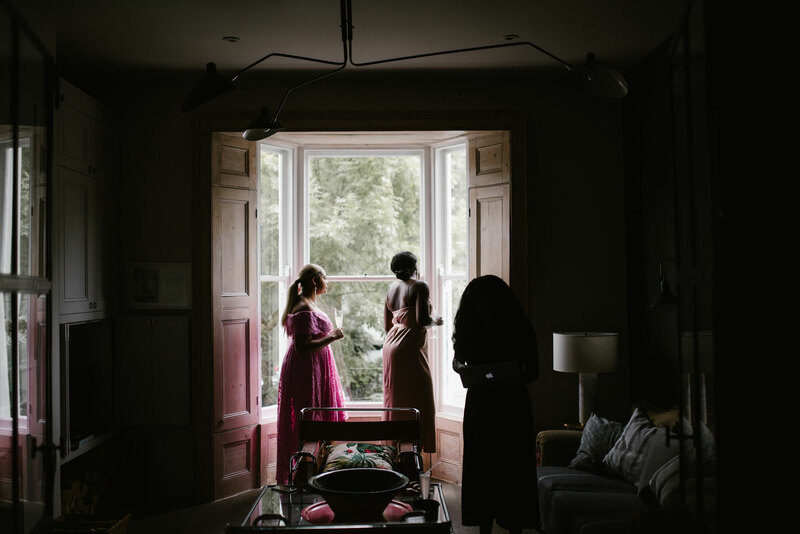 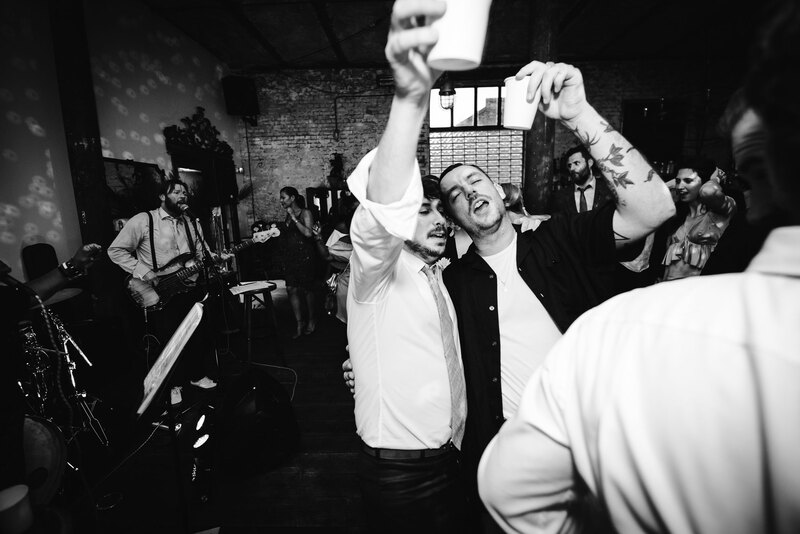 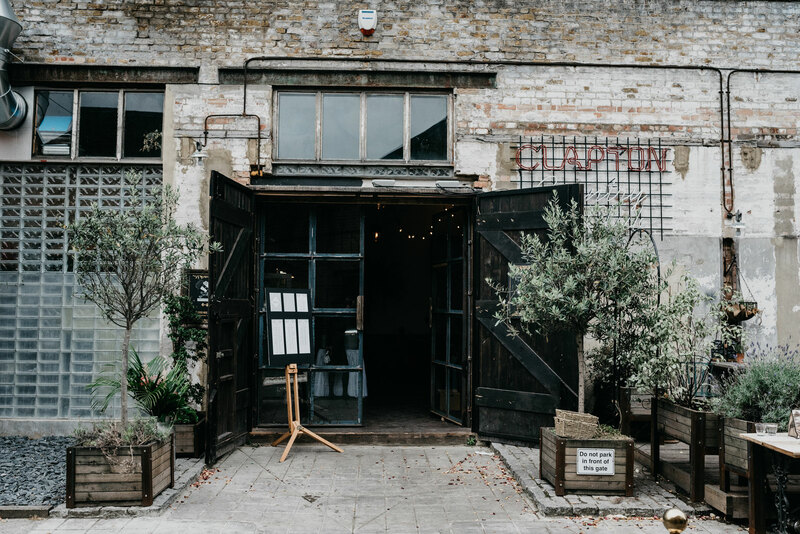 I love an urban wedding and this one totally delivered as it was bang in the heart of Clapton in East London. 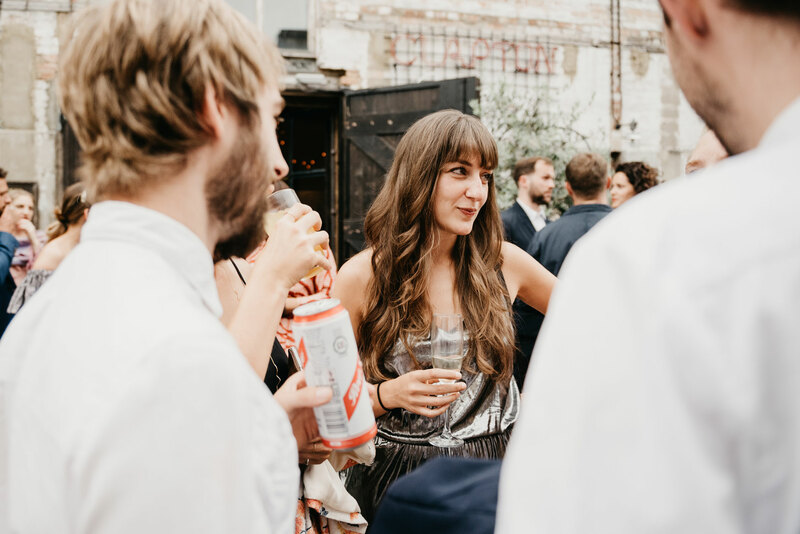 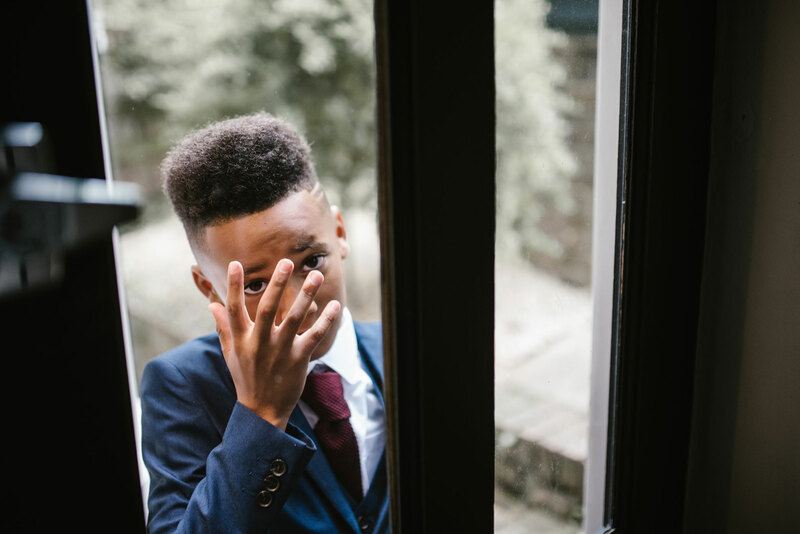 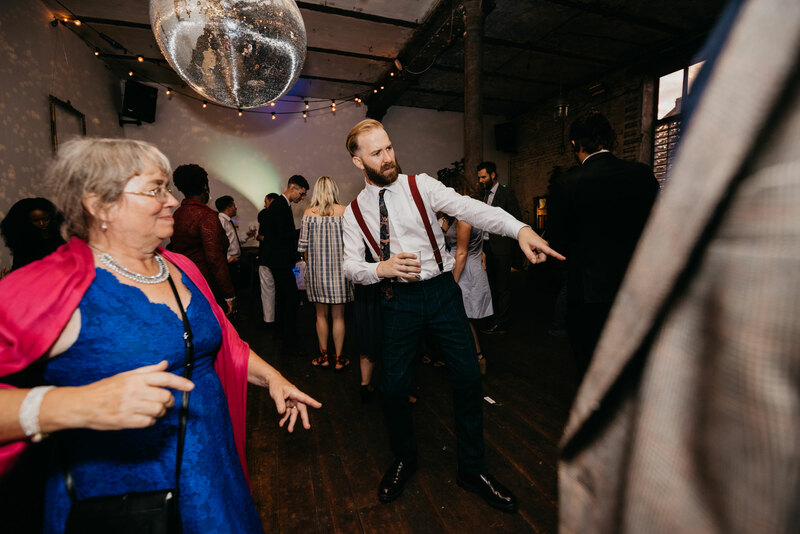 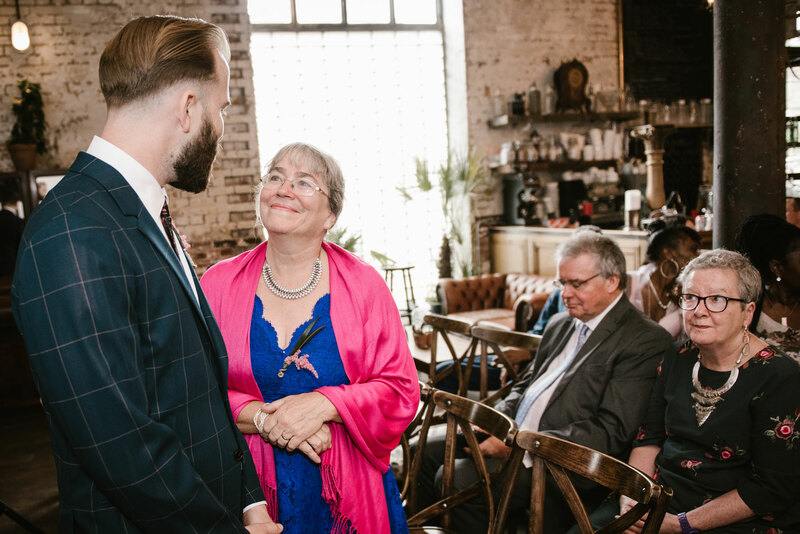 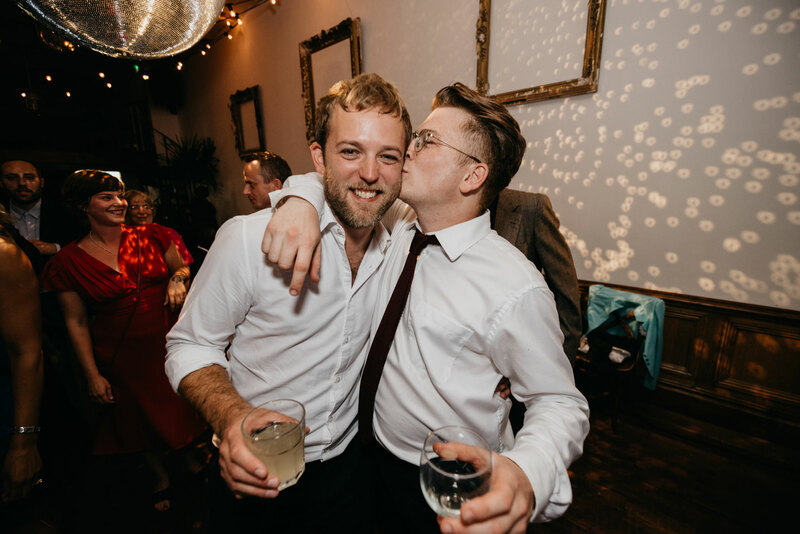 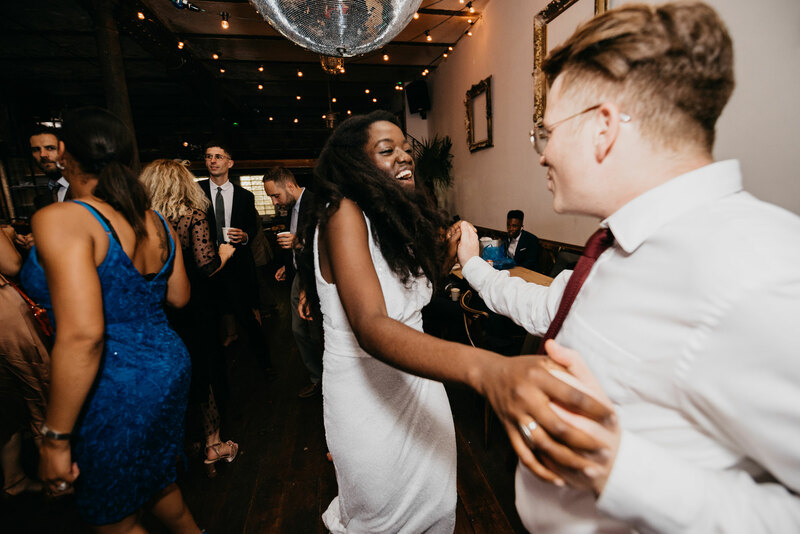 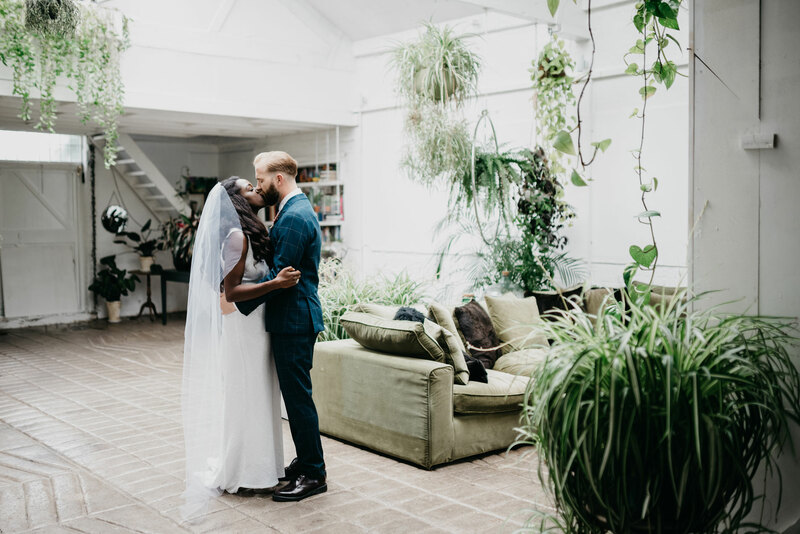 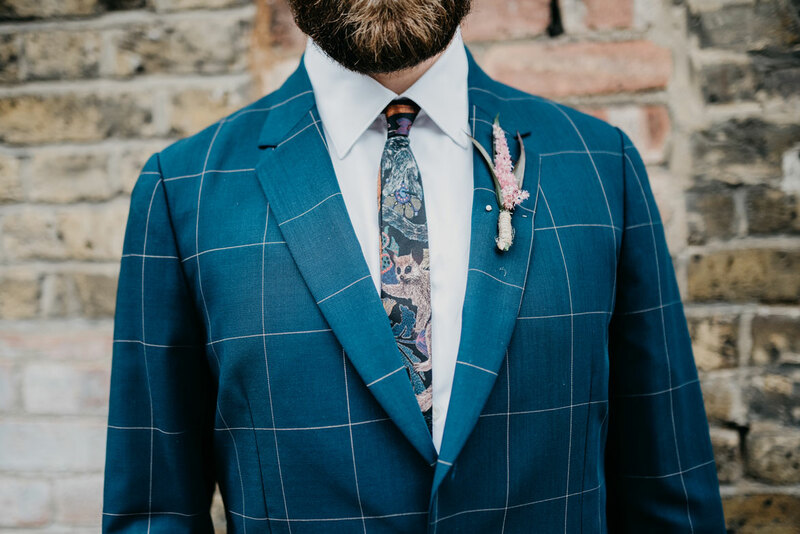 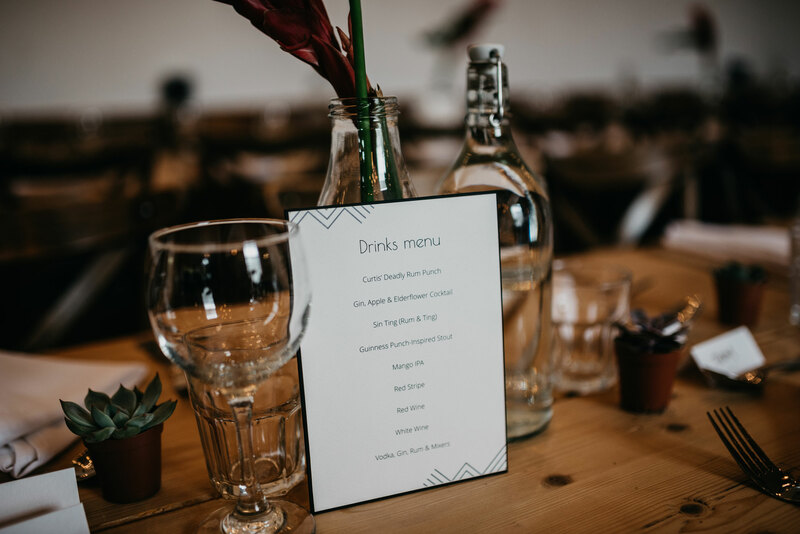 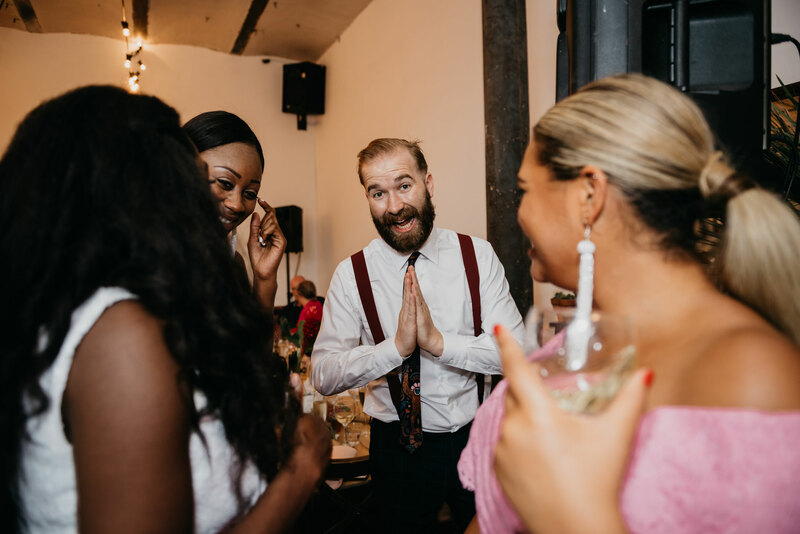 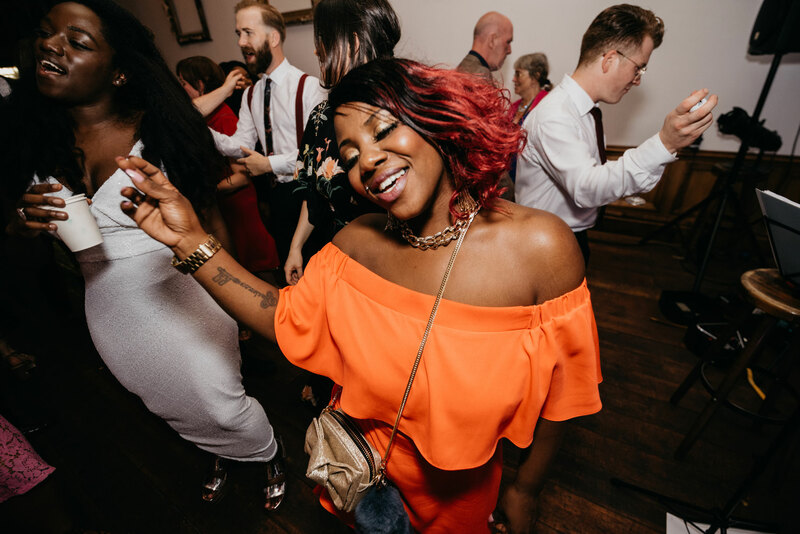 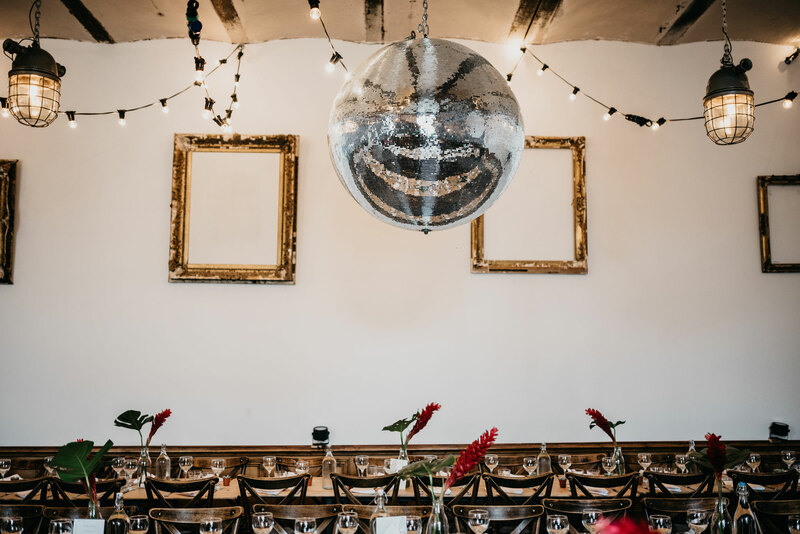 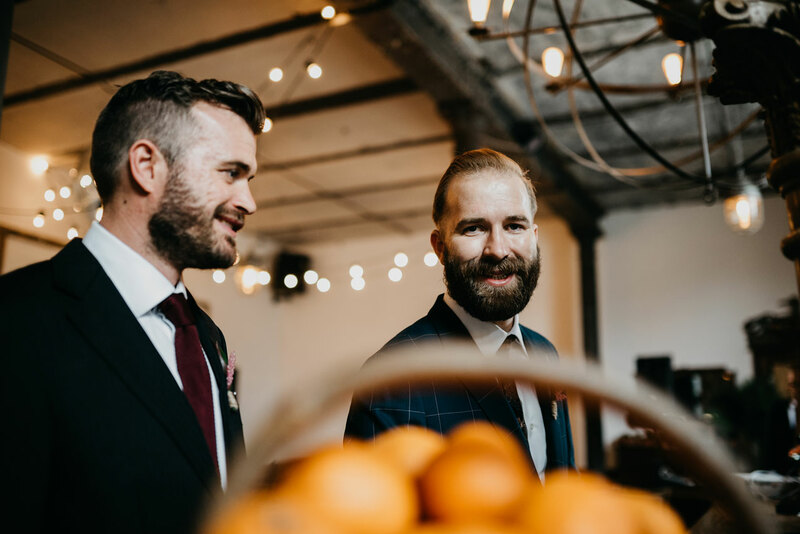 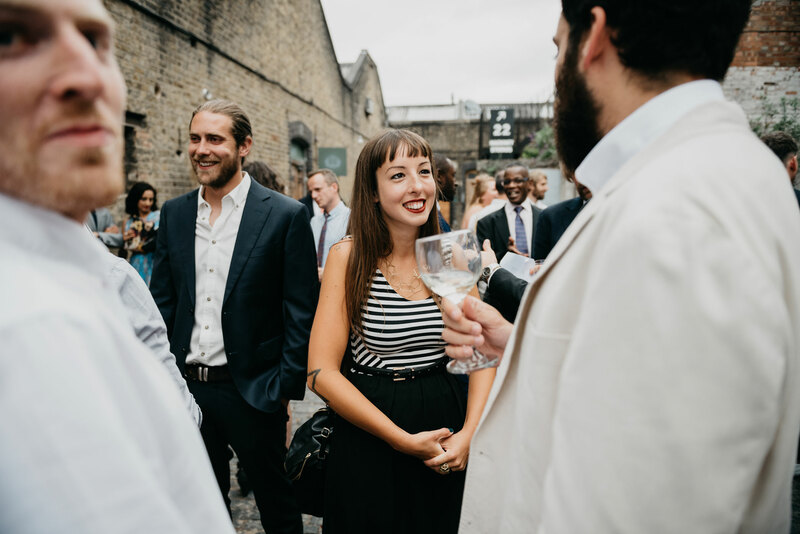 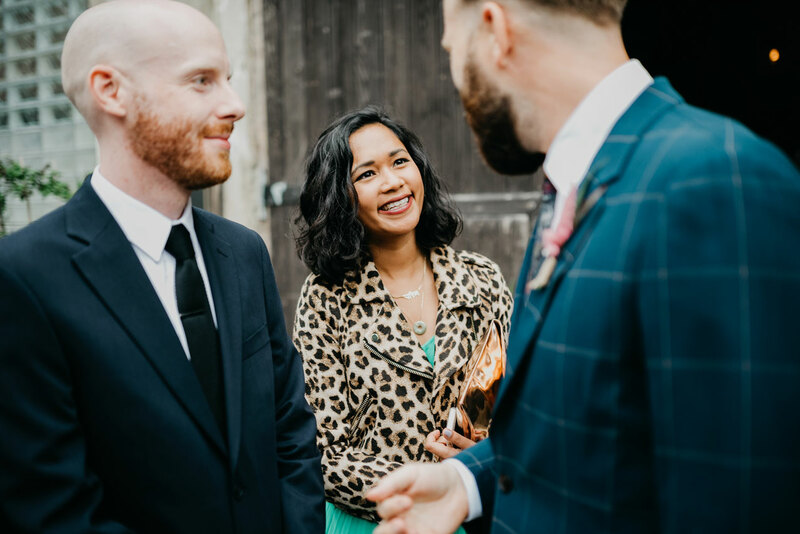 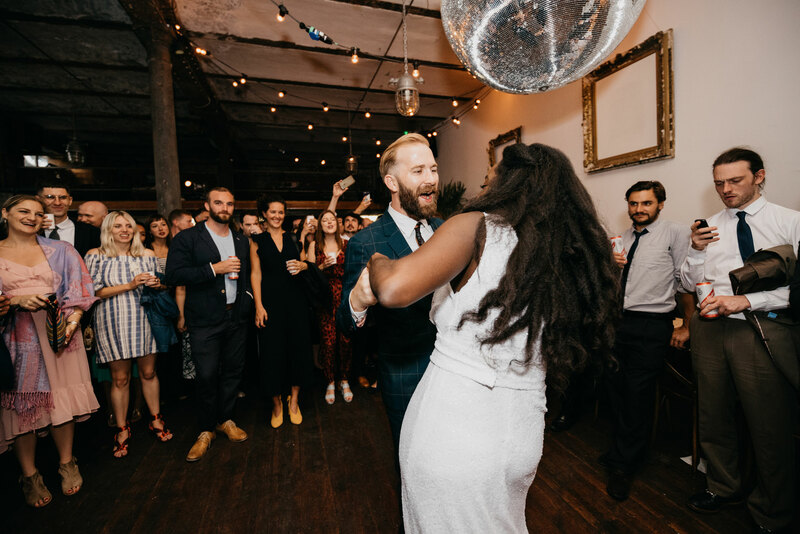 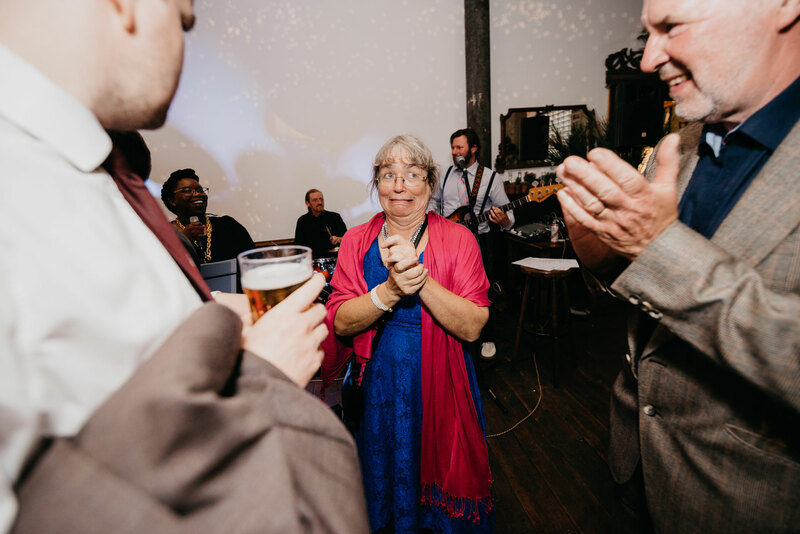 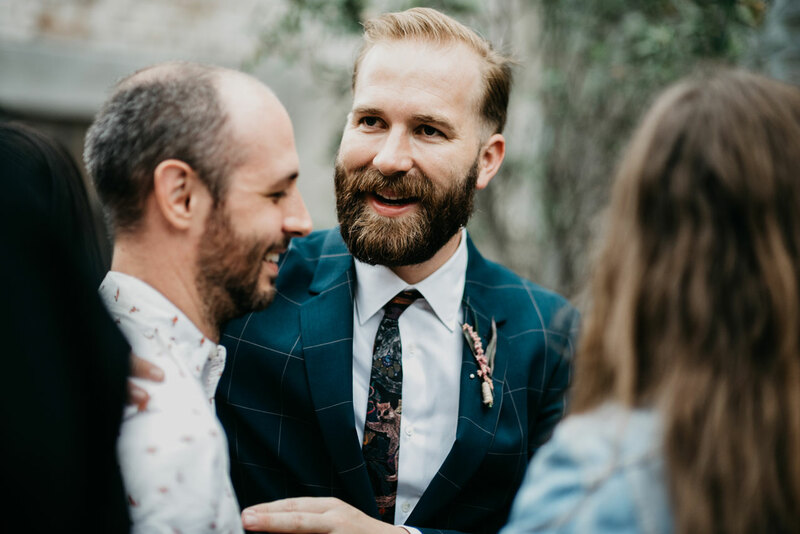 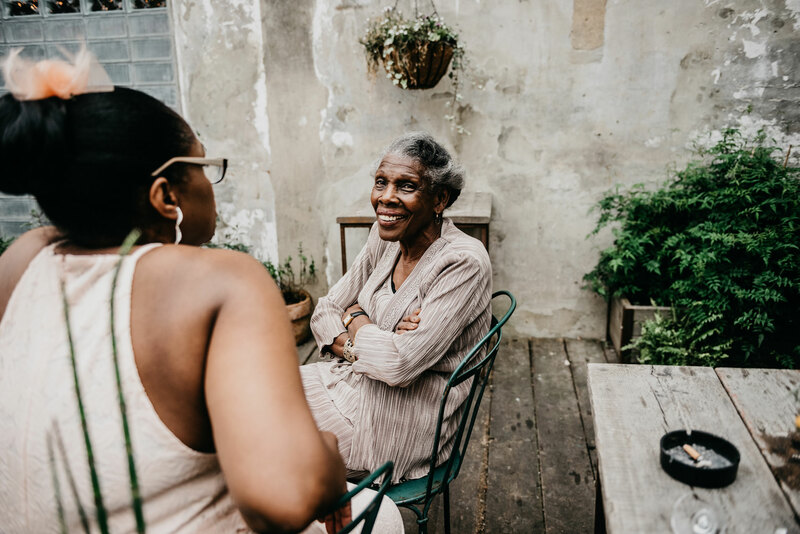 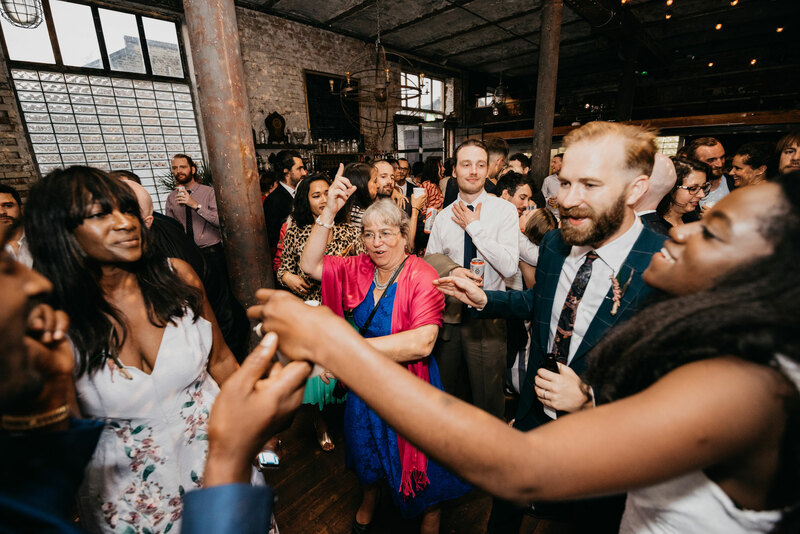 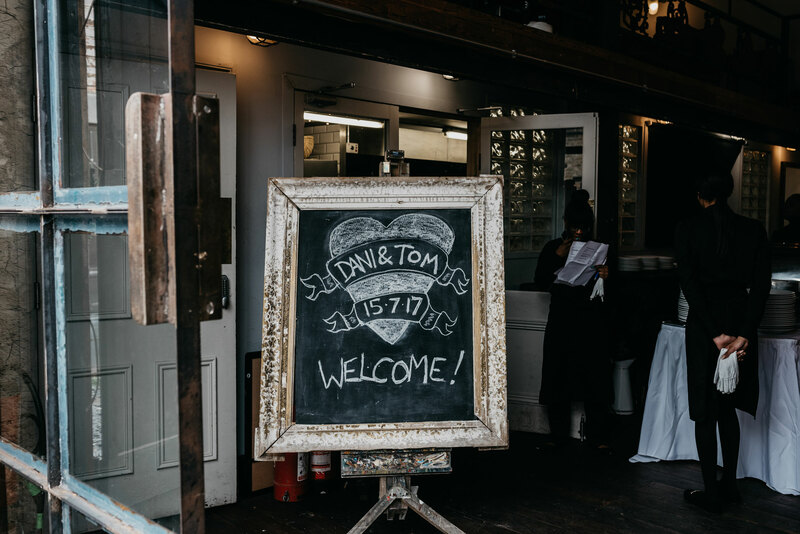 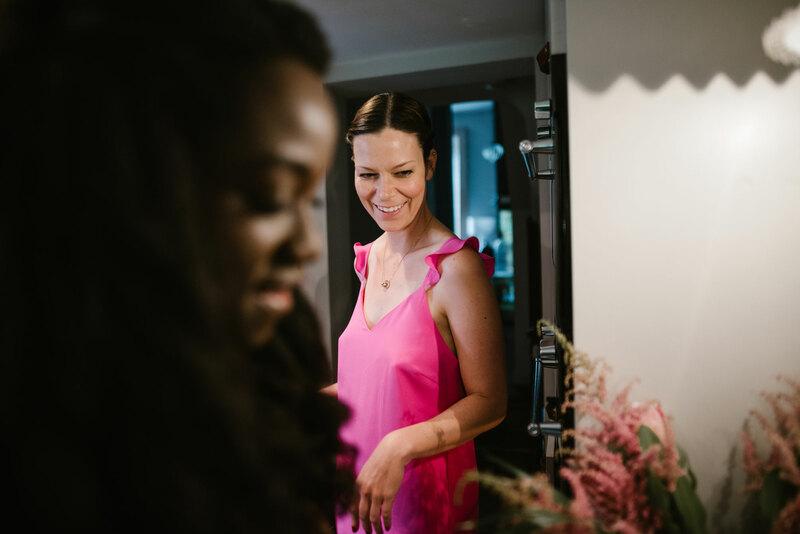 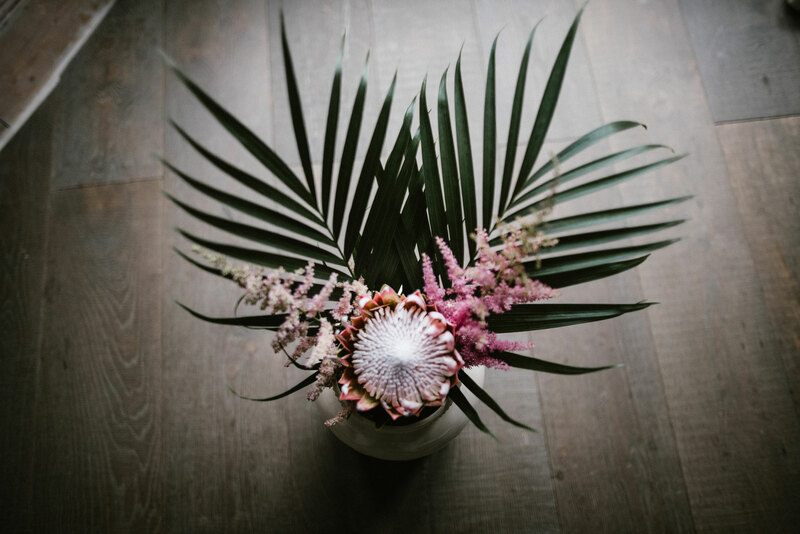 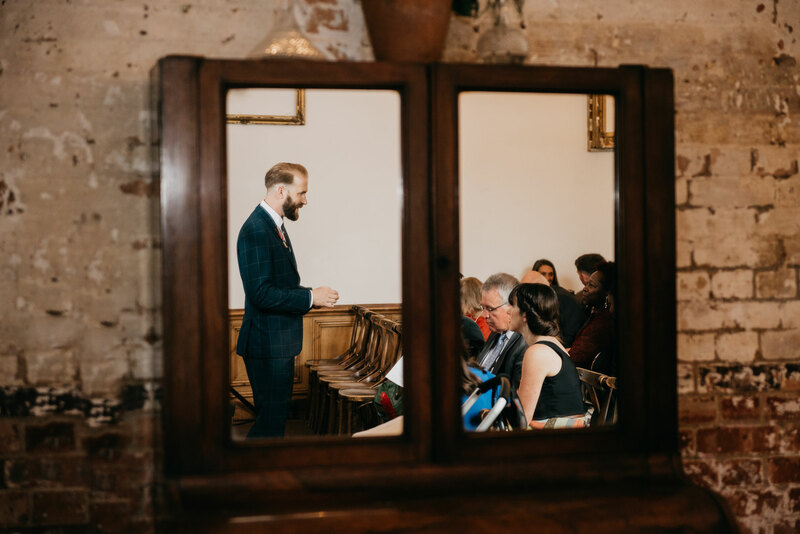 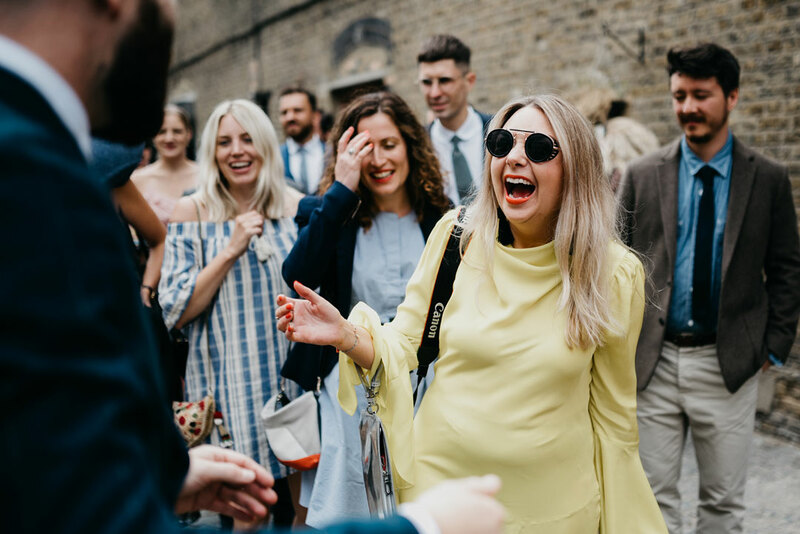 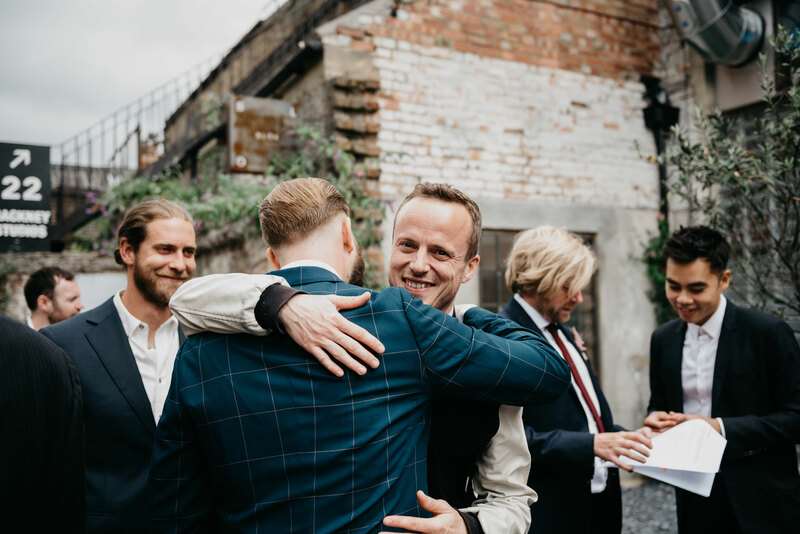 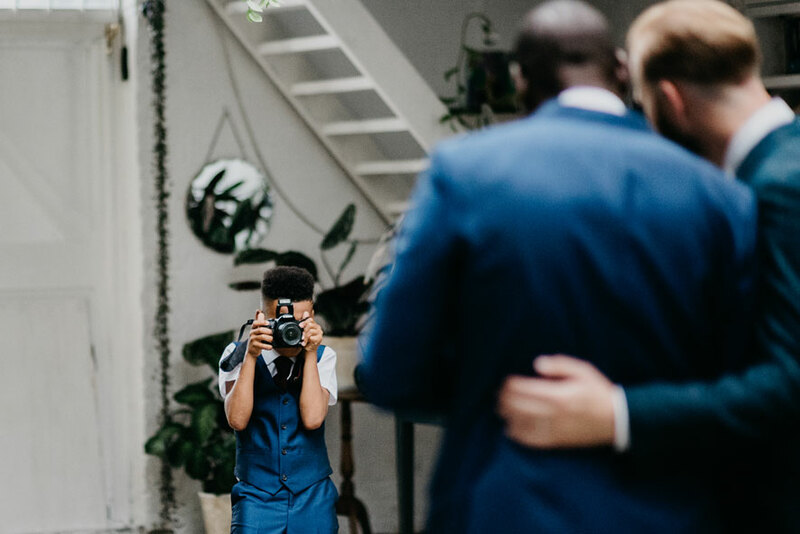 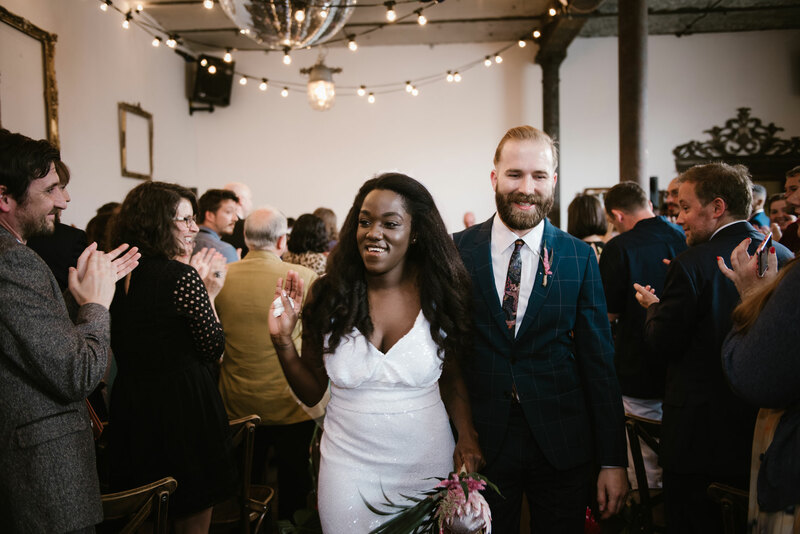 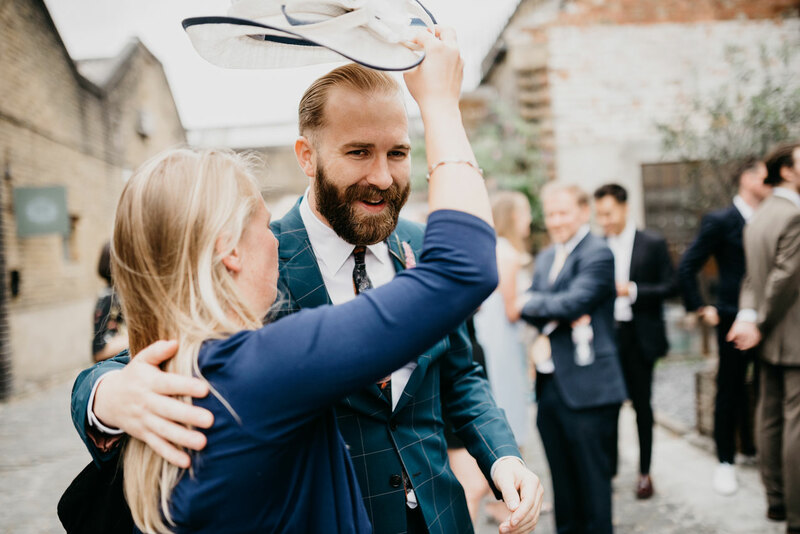 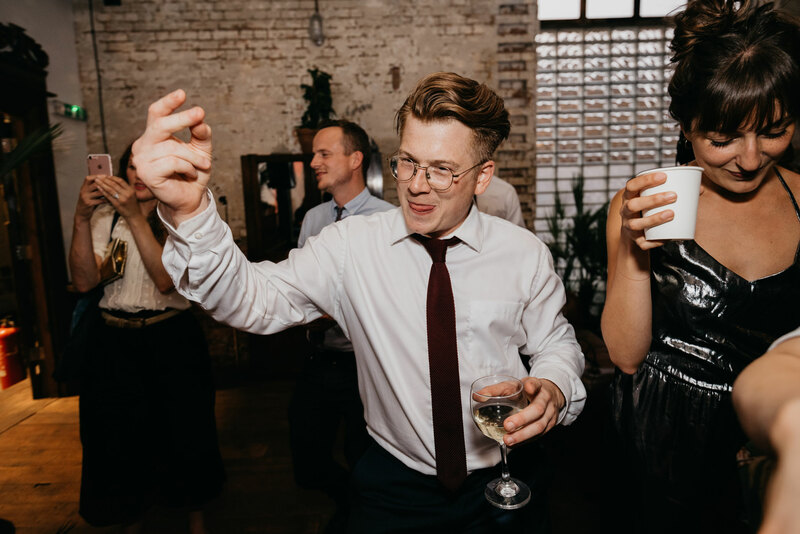 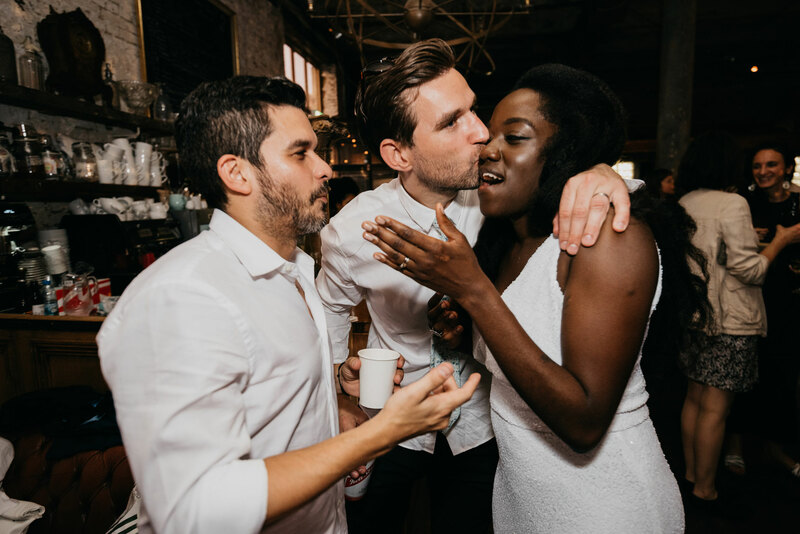 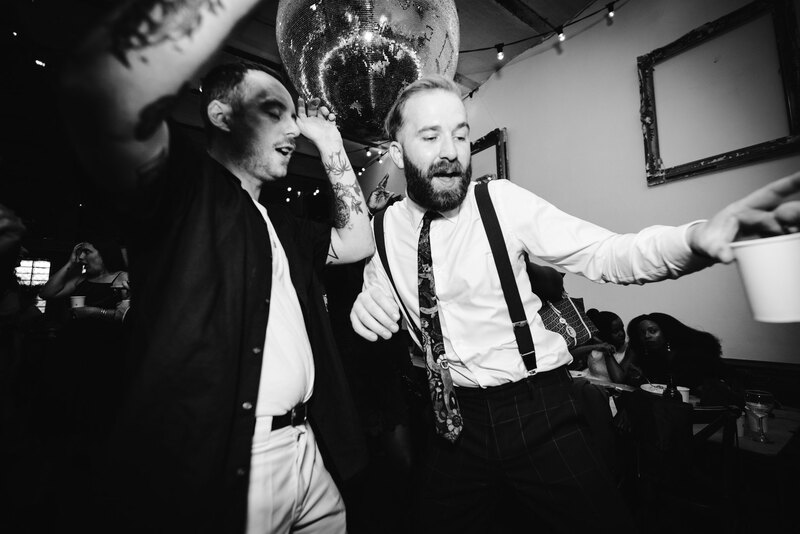 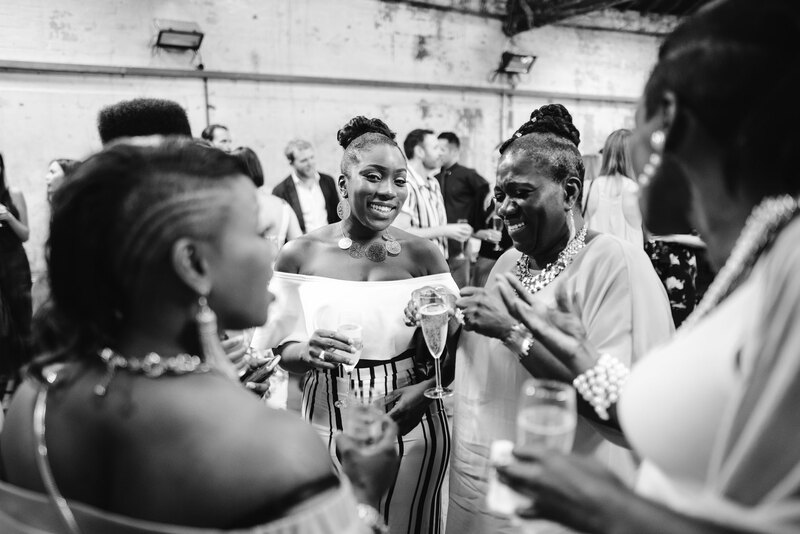 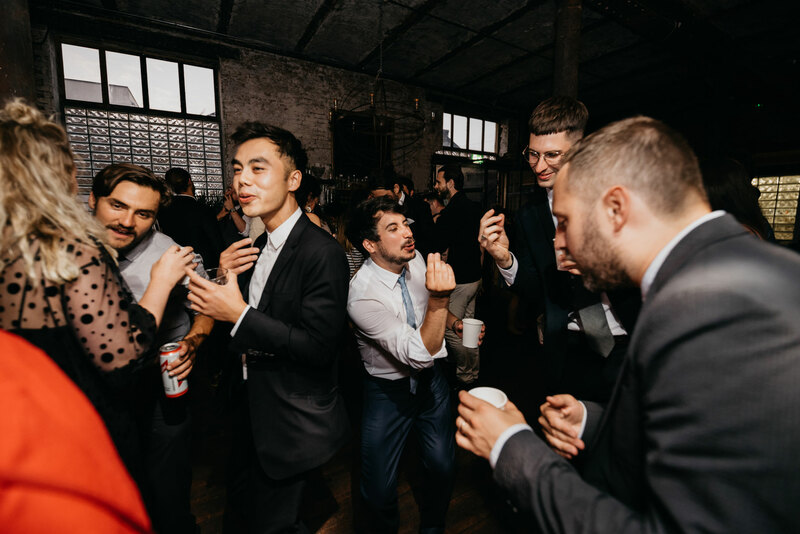 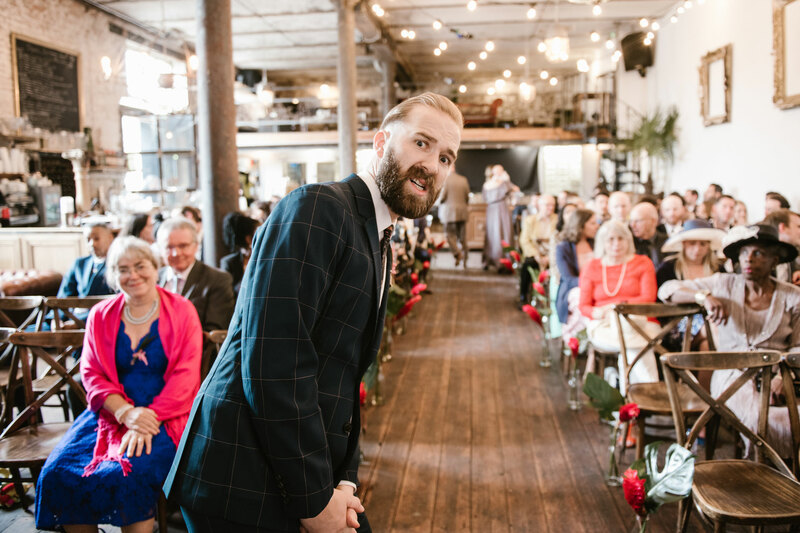 Having a very laid back and causal wedding was very important to Tom and Daniella as they wanted all of their family and friends to all be involved, and so they chose one of their favourite places as the venue. 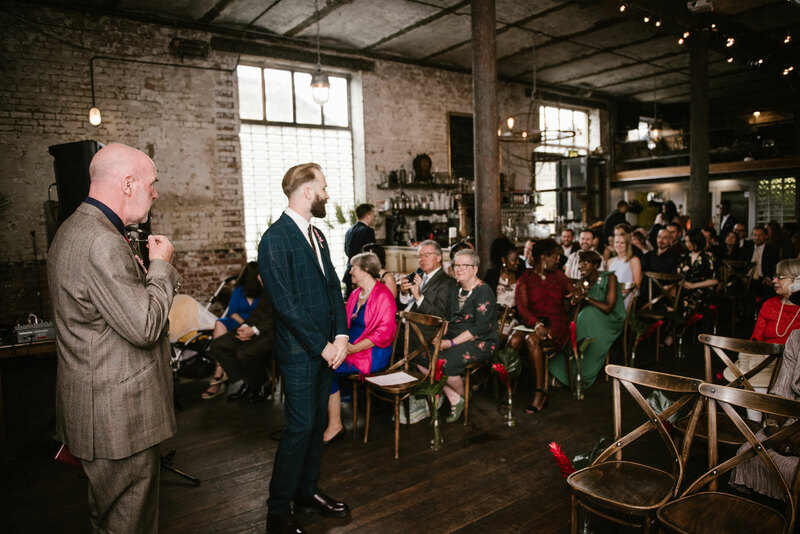 The ceremony took place at the Clapton Country Club before moving on to the Brew Club next door for micro beers and nibbles. 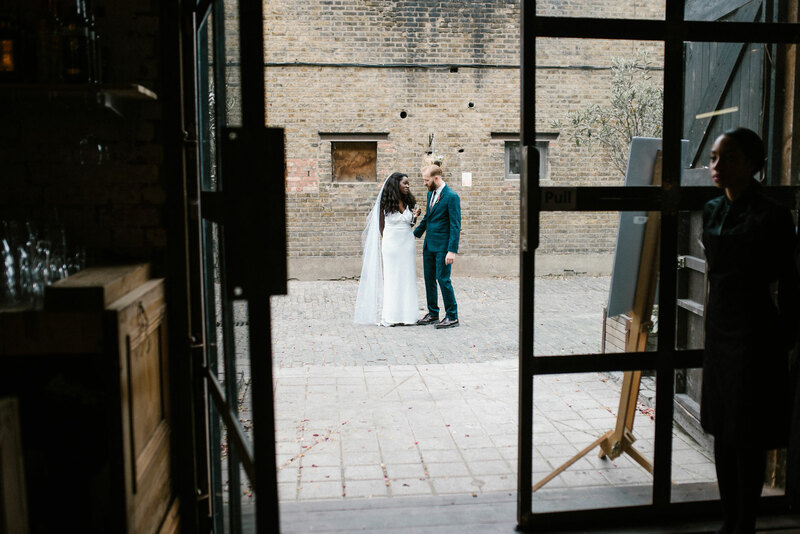 For some alone time, I took Tom and Daniella over to the Clapton Tram photography and film studio, which was a stunning place for some intimate and quirky couple’s portraits. 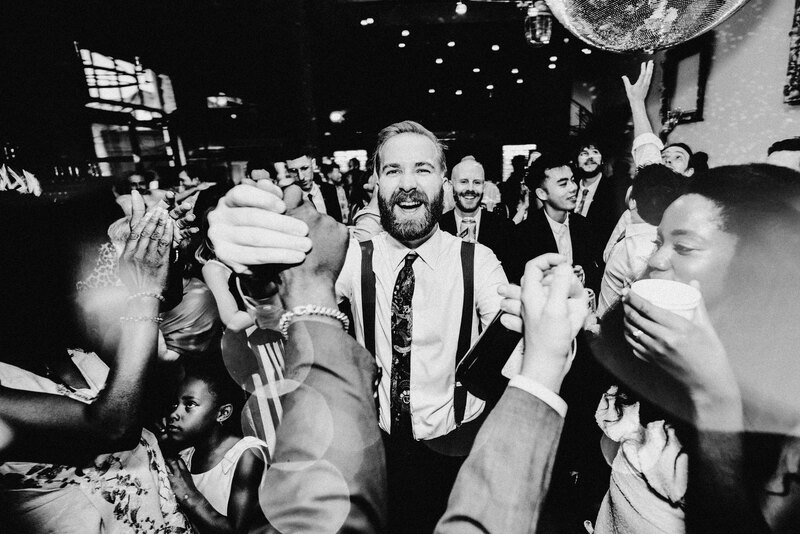 I knew this this wedding would be an absolute knock out and I sure wasn’t wrong! 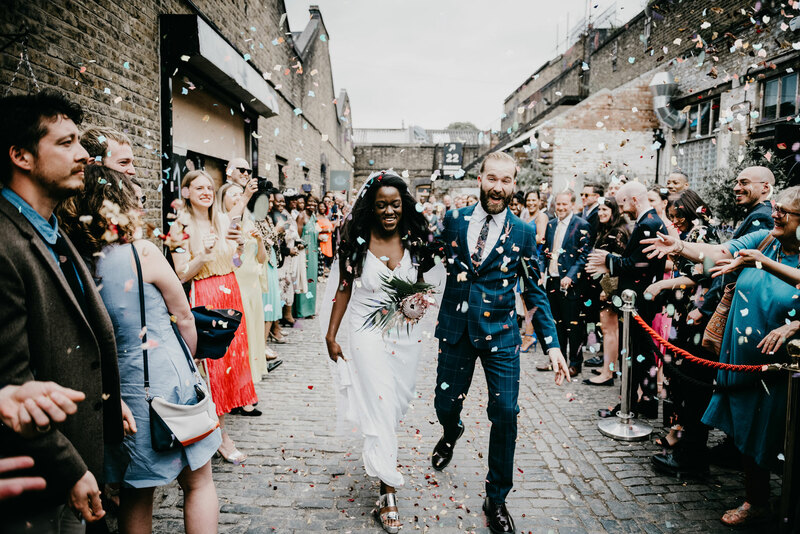 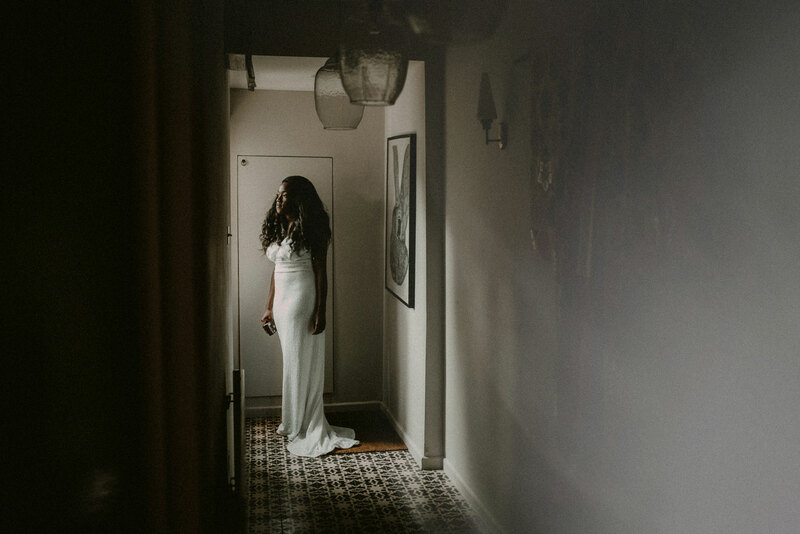 “After a lengthy time looking for a wedding photographer we found Andrew and couldn’t have made a better choice. 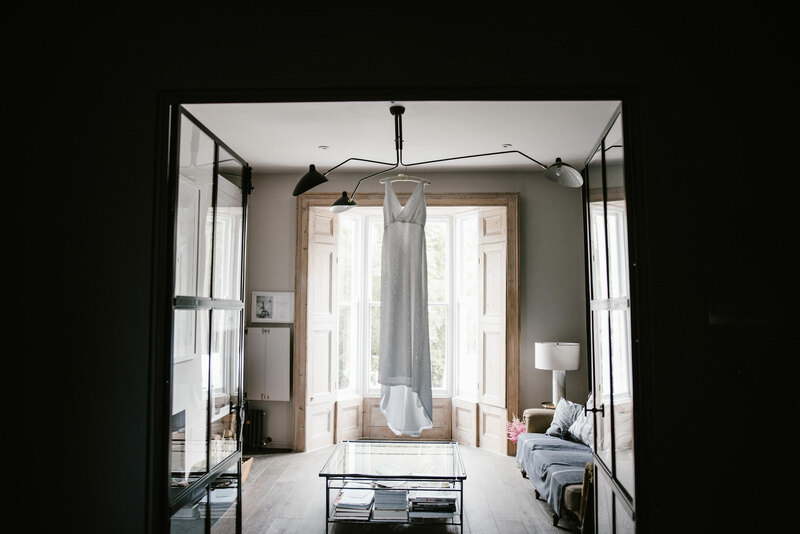 We are so happy with the pictures and the way he captured the day. 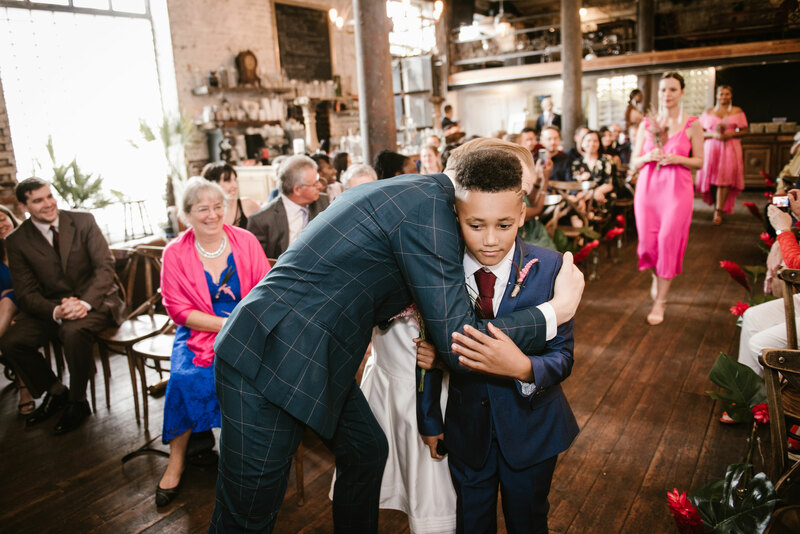 He blended in very well and made everyone feel at ease. 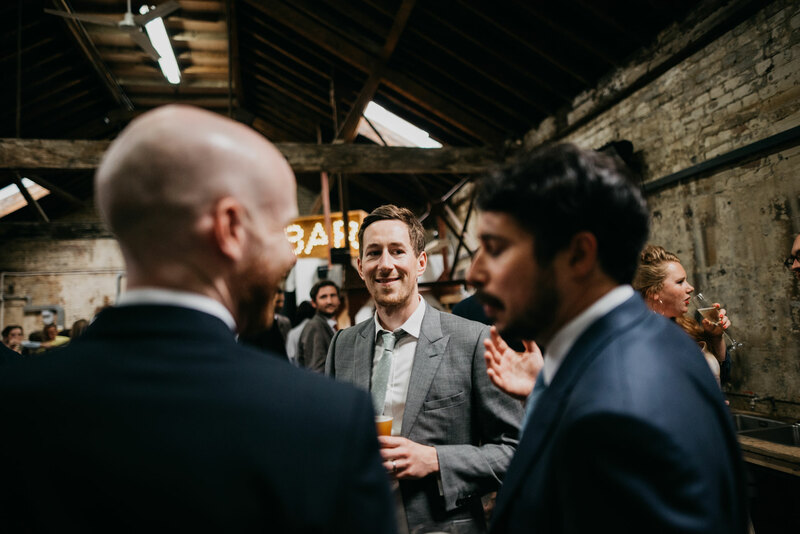 He was also very professional and got back to all emails and queries promptly. 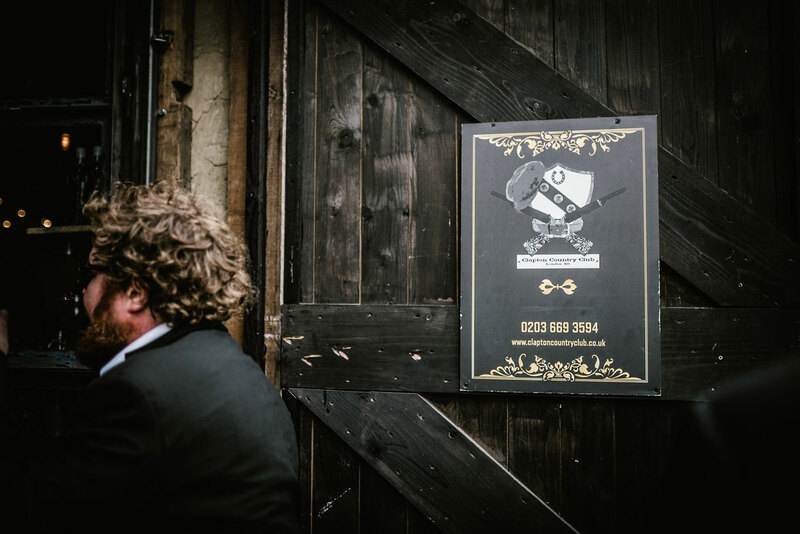 We just love our images and could not be happier, thanks Andy!